Skill and compassion go hand in hand when providing exceptional patient care. Dr Duvall stays up to date on the latest advancements in restorative and cosmetic dentistry in order to provide the most current treatment options for his patients. He recognizes that his patients place a great deal of trust in him and his team, and he takes this responsibility very seriously and truly values the relationships he has with his patients. 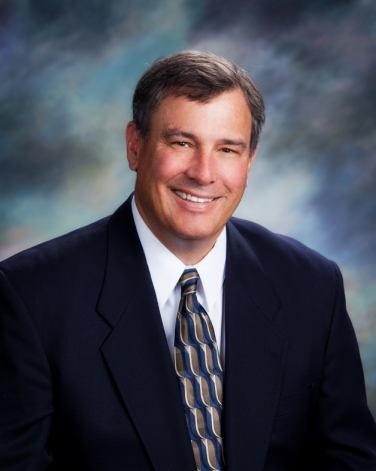 Dr Duvall was voted a Top Dentist by his peers by 5280 magazine from 2013 - 2018. He received his Bachelor of Science degree in Biology from Colorado State University. He received his Doctor of Dental Surgery degree from Northwestern University in Chicago. Upon completion of his Doctorate degree, he was elected into the Omicron Kappa Upsilon Honorary Dental Society. He was presented with the Odontographic Society of Chicago Research and Education Foundation award for "Best Demonstrating Qualities of Leadership and Outstanding Clinical Ability". He was born and raised in Lakewood Colorado, returning here after completing his education to take over his childhood dentist's practice. Dr. Duvall is married, with two grown children and three granddaughters. In his free time, he loves to fly fish, play golf, work in his wood shop and spend time relaxing with family.